In very oversimplified terms, fracking is a process by which a fluid mixture consisting mostly of water and a proppant (typically sand) is pumped into a well under pressure to create fractures in the underlying rock. These fractures create more pathways for hydrocarbons (natural gas & oil) to flow to the well and results in higher production of oil or natural gas. The term proppant is a mashup of the words "propping" and "agent" and is the material used to hold open cracks in the rock so that an available path to the well exists. 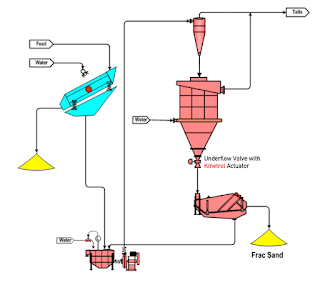 The most common proppant used in the fracturing operation is sand. A classification of very durable, high-purity quartz sand, with very round grains is referred to as "FRAC sand". The petroleum industry uses it widely due to its crush resistance. It is used in hydraulic fracking to allow the flow of oil, natural gas and natural gas liquids from rock. of the unit, after which water is injected and creates an upward rising current. The result is a zone of suspended solids. Finer materials then flow over a weir at the top of the unit, while coarse solids collect in the lower area. 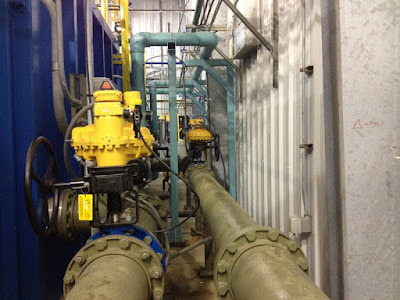 A PID controller maintains the water injection rate and the desired operating density by adjusting the underflow valve to maintain consistent output. The classifier automatically compensates for changes in feed rate. A Kinetrol USA Midwest Distributor installed a Kinetrol actuator on a Hydraulic Classifier used at a FRAC-sand plant. Previously the customer used an electric actuator which cycled every 2-10 seconds. The electric actuator would burn up after 2 weeks. 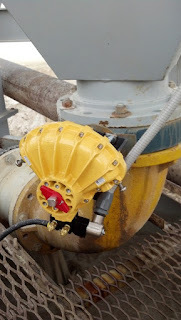 The Distributor sold them a Kinetrol pneumatic actuator which has worked now continuously for 2 years with no maintenance. The FRAC-sand plant has since purchased 10 more units. 20" High Performance Butterfly Valve Closed in Under 1/2 Second! This video demonstrates how quickly a large butterfly valve can be closed with a Kinetrol vane actuator spring return unit. In this case, it's a 20" stainless steel high performance butterfly valve (HPBV) being tested in the shop. You'll note the valve takes about 11 seconds to open, but only 0.4 seconds to close, using the Kinetrol spring return unit. Quick closing valves are used in emergency situations to stop the flow of fluids that may contribute to uncontrolled combustion, cause backstream contamination, or allow spillage of hazardous materials. 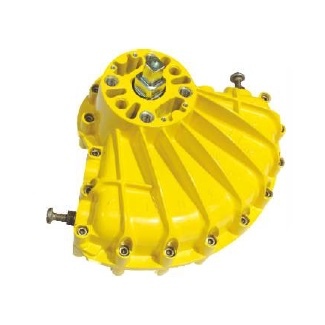 Kinetrol rotary vane actuators are the true workhorse of the valve and damper actuation industry. Known for surviving applications with the highest cycle rates, the nastiest environments, and the most remote areas, Kinetrol actuators continue to provide years of maintenance-free service. This video is a slide presentation of Kinetrol actuators at work.